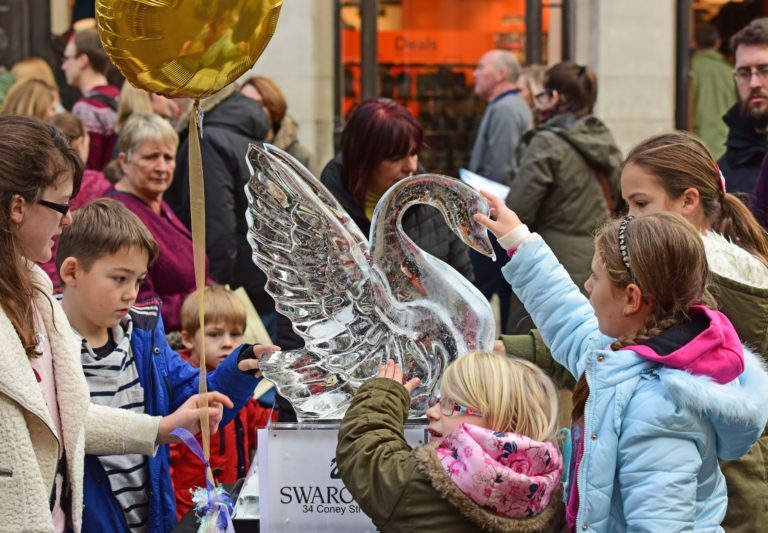 This year we are super excited to announce that we are taking part in the York Ice Trail! The York Ice trail is the biggest outdoor ice trail in the UK and will completely transform the city into a magical and glittering place. 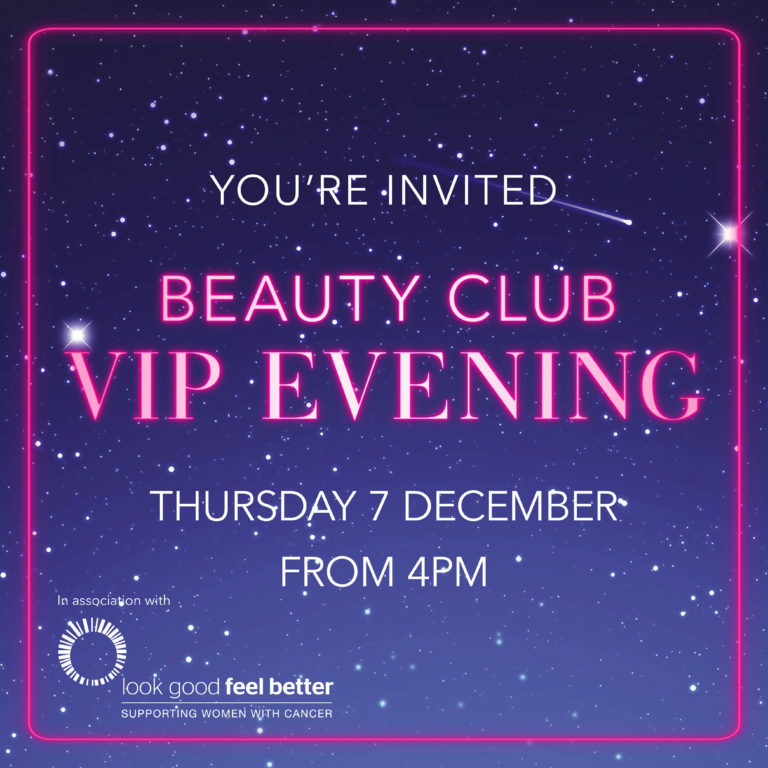 Beauty Club VIP evening at Debenhams! Tickets are available in store now. They are £5 each redeemable on the evening. Come along for an evening of glamour and VIP fun! Reindeer have to be one of the most magical creatures, especially at Christmas time. 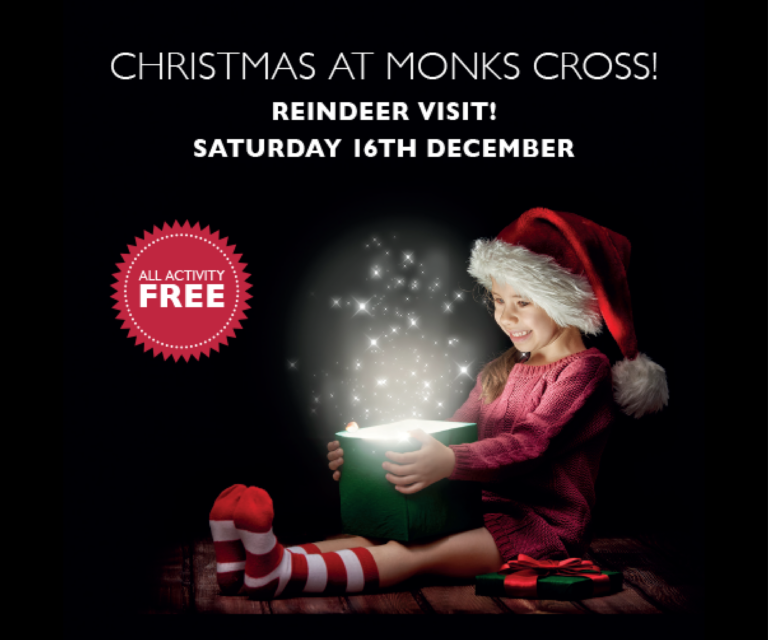 Come and meet the beautiful reindeer here at Monks Cross! There will also be FREE gift wrapping and face painting taking place inside the Information Centre on the day. Unbrass Band will be carol singing outside the information centre too! Let us know if you’re coming on our Facebook event here! Personalise a Bauble at Monks Cross! Visit us on Sunday 10th December and you can get a personalised bauble! Pick your bauble, ribbon and then get a name printed on. You can then take your bauble home in a gorgeous little craft Christmas box to keep it safe. They will make the perfect little gifts for friends and family or why not create one as a lovely treat for yourself! Whilst you wait for your bauble to be personalised you will also get a yummy mince pie… what more could you want! Activity will take place in the Information Centre next to New Look. Free Gift Wrapping at Monks Cross! FREE gift wrapping will take place in the centre information centre on Saturday 9th December and Saturday 16th December from 11am – 4pm on both days! 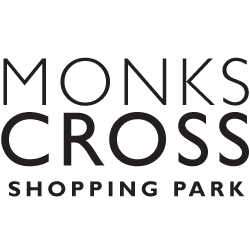 All you need to do is show the receipt from a gift you have bought at Monks Cross and then let the talented team wrap up your gifts, in true Rowan Atkinson Love Actually style! You will also have the opportunity to donate to S.N.A.P.P.Y. (Special Needs Activity & Play Provision for York) on the day so make sure you bring along some spare change! Let us know if you are coming on our Facebook event here! Your Autumn Style Guide Sorted! Autumn is here! Whilst we’re still seeing a few glimpses of that Summer sunshine, the colder weather is definitely starting to sink in and we are getting clear signs that is time to refresh our wardrobe with a few warmer layers. The new season trends though are a refreshing change from the whites, blues, frills and bell sleeves of Summer. Think reds, bright colours, statement pieces and lots of texture. It really is time to break the rules and step out of your comfort zone a bit. Bold is back and we couldn’t be more excited! Red is the new black this season! Yup, you’ve every right to go ahead and wear multiple items of red clothing in different hues and shades. The brighter the better! Of course, not everyone wants to wear red to toe so why not bring in little elements of the season’s hottest colour to make a statement. Think red shoes, a red bag and you can never go wrong with a bit of post box red lippy! Of course boots are in but this time with a point! Search for those perfectly pointed ankle boots that really will give you the edge this Autumn. Don’t hold back on colour either. This season is all about bold colours and metallics so why not go for something like these stand out white and black boots from Topshop or New Look’s jazzy metallic pair. Office are oozing class this season and these dark red pointed ankle boots will make sure you stand out from the crowd and feel a million dollars. Pair these with jeans for a casual day look or why not wear them to the office with black trousers for the ultimate power outfit! The trick with this is nothing is too much. Mix and match your textures and bold colours to your heart’s content! Think satin, velvet, gloss, leather-look, matt, shine, metallic and more! We adore the pinks available at Monsoon and how striking is this look from River Island! Head over to Evans for a more casual take on textures, this velvet feel cardigan is the perfect way to keep warm this season. Don’t forget about your accessories either, the trends don’t stop there! 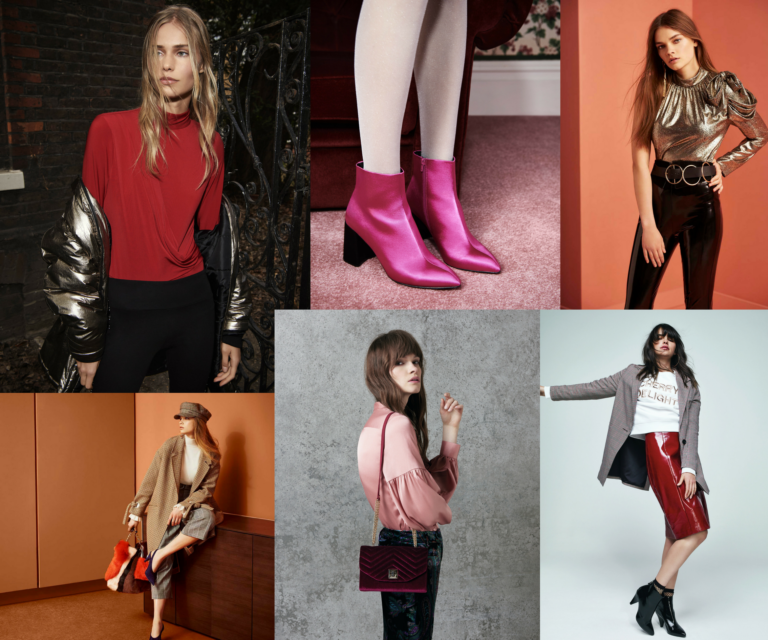 Velvet socks, textured bags and bright colours all round are just what you want to be channeling this Autumn. We are in love with this bright pink metallic look bag from Topshop! You’ll be the envy of everyone with these must-have accessories this season.